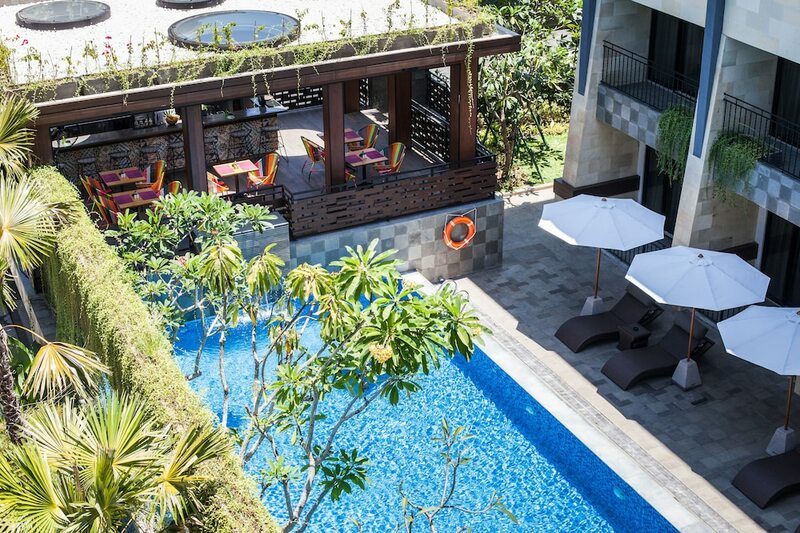 The best value hotels in Legian offer comfortable stays with suitable facilities and amenities that ensure you have a great holiday experience in this popular resort area. Positioned in between the two other famous beaches of Kuta and Seminyak, staying in Legian Beach lets you experience the best of both worlds. These options are particularly for the budget-conscious traveller, enabling you to save on your hotel and spend more either on shopping at the Legian art markets, beers at the many bars that line the main streets of ‘downtown’ Legian, or exciting clubbing in the main hub. Legian's best affordable hotels aren’t always the last in terms of quality – there are also three and four-star recommendations that are great value with good cleanliness, quality in-room features, warm Balinese hospitality, and some onsite facilities akin to boutique hotels. There are even Legian hotels within easy to the beach, suitable for surfers who can’t wait to ride Legian’s waves after checking in.